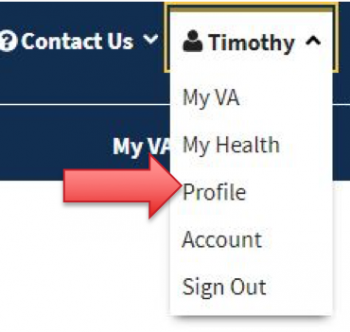 Whatever the reason may be, VA just made updating your contact information much easier. However, this won’t work for all VA databases…yet. For prescriptions: Address updates via VA.gov will change your VA pharmacy, labs, appointment reminders, and postal mail from your VA medical center. This new feature is one part of an improved, personalized digital experience. But it’s also making a big, data-driven impact. More than 17 million Veterans have contact information of some kind housed in Veterans Benefits Administration (VBA) data centers, and 12 million Veterans in Veterans Health Administration (VHA) data centers. This data wasn’t always up-to-date, and the systems did not talk to each other. Previously, a Veteran could have a different address at both, making it difficult for the VA to keep in contact. Now, once the contact information is updated in one data center, it will be synchronized with VA systems across the country, including major VBA and VHA data centers. In fact, since deploying this new capability, VA has updated, cleaned up, or authenticated contact information for more than 2.4 million Veterans, ensuring that Veterans are being contacted faster, and where they want to be. Does VA have your updated contact information? Check now on VA.gov. When I retired from the US Army on 21 Feb 90, I had been married for 16 years. Since my VA disability benefits were merely subtracted from my US Army retired pay dollar for dollar each month. I never found out that my VA records showed that I was single. When my wife recently passed away on 18 August 2017 and I tried to update my records to indicate so, I was informed of the error that had existed in my VA records for 43 years. I continue to receive my Army retired pay and VA Disability benefits each month, but I have as of now never inquired as to whether I would have been eligible for any additional monetary compensation had this error not occurred. Please try to resolve this for me.